While cycling to Setoda Link, I stumbled upon a really interesting looking structure. 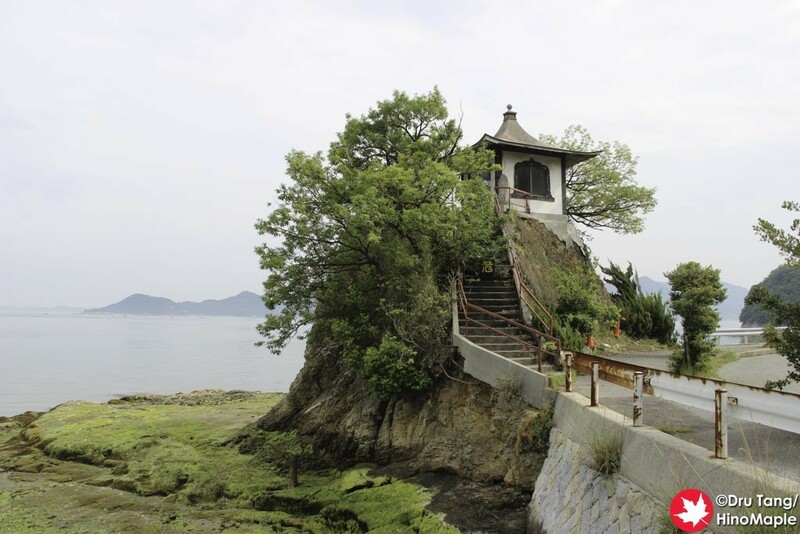 According to Onomichi Travel Guide, it is a “Little House by the Sea”. I wasn’t sure what it was either but it is definitely eye catching. I just had to stop and take a picture of it. To me it looks more like a shrine or a temple but I didn’t venture up to it. I do regret not taking a little more time to check it out and see if I could find a little more information on it. Maybe next time I will take a bit more time to check it out as it is a lovely looking place. Perhaps it was a tea house. This entry was posted in Chugoku and tagged House by the Sea, Ikuchijima, japan, Shimanami Kaido, Shimanamikaido, temple by Dru. Bookmark the permalink.